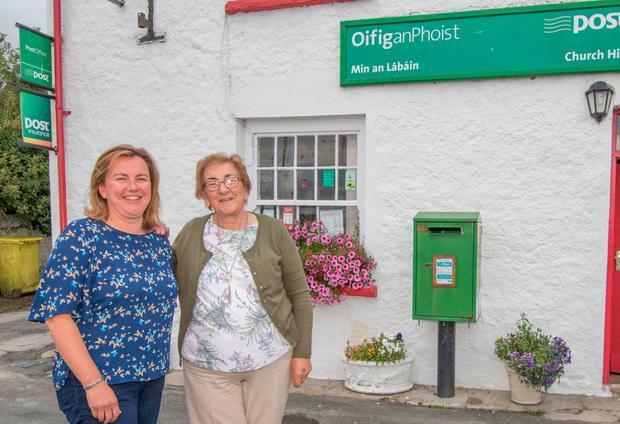 This Friday, after more than 150 years of service in the area, the post office at Churchill, Co Donegal, will shut its doors for the final time. It will be among the first of 161 post offices across the network to shut as part of a retirement scheme to streamline An Post services. Postmistress Matilda Wilkin said she has made the decision to retire with a heavy heart. “It’s an important part of the community. Everyone has been calling in to me this week and they are sorry to see me go. I’m sad to see it going too,” she said. An Post recently offered new contracts to 690 postmasters across the country. However, Matilda is among a group of 390 postmasters who were not offered the new deal. Instead, they were told they could keep working on their existing arrangement or take a retirement package, with 161 expected to shut up by January next year. She said she had little choice but to accept the exit package. Three generations of the family currently make sure the business runs smoothly. She did run it with her husband Bobby before he passed away seven years ago. Now, she regularly gets help from her son, daughter and granddaughter and would have liked the post office to stay in the family after her retirement. “There is no point in delaying the inevitable,” she admits. “They (An Post) have a plan in place and it is likely this office would have been closed eventually anyway. “I’m of retiring age and I know that, so when they offered me the package I thought it was best to go with it. It’s a pity because my children are here and they look after it too. My son Victor lives next door to the post office here, so he would have made a good fist at running it when I was finished. “My daughter, Elaine, also comes in and helps me out and every Friday her daughter, Aoife, comes in and helps me, so there are three generations working here. That will all be lost now.” Locals say there has been a post office in the area at various sites since 1835. The current post office was run by Matilda’s mother-in-law and father-in-law before she and her husband Bobby took over the running of the business. An Post has made arrangements for the social welfare services currently available from Churchill post office to be transferred to the Kilmacrennan Post Office, almost 10km away. Other neighbouring post offices will also offer An Post services. It said communities of more than 500 people will have a post office and that over 95pc of the population will be within 15km of at least one post office.